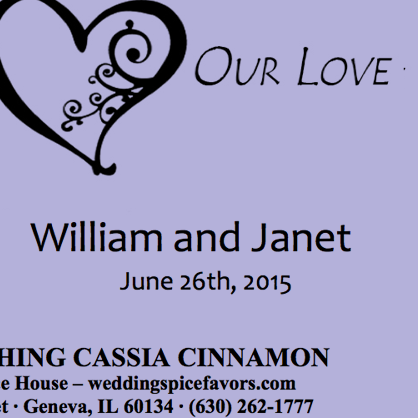 Create your own personalized party favor with our custom spice blends. Available in tubes, jars, or gift boxes, you can choose the perfect spice to represent your occasion, complete with label personalization. Giving gifts to guests after a party has long been a tradition for special events. 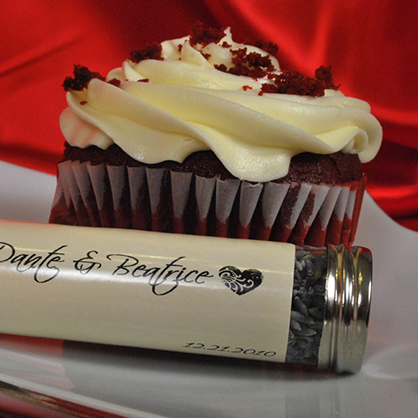 Edible favors are a unique gift idea that can be customized to match the theme of your event. Hosting a fiesta? Our Chipotle Lime Blend would make a perfect party favor. First date at a barbecue restaurant? Our grilling spices & rubs offer the perfect touch of sentimentality to show off to your guests. Our spice container labels can be personalized with names, dates, and messages to commemorate special occasions and events. Companies can leave a lasting impression on their clients by literally staying on the tip of their tongue with our custom spice favors. Birthday parties, anniversaries, and religious ceremonies can be remembered and celebrated with a special spice blend and commemorative label marking the date. See label options. See color options. 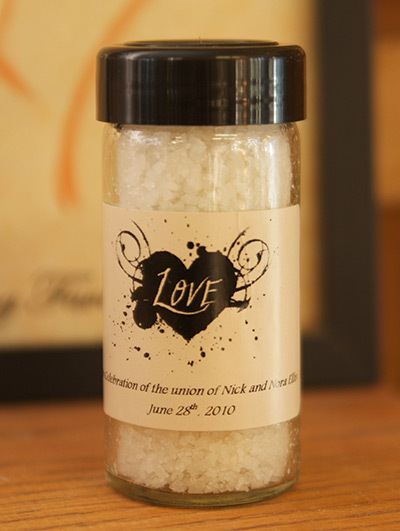 No matter what the event, our custom spice favors offer a unique, one-of-a-kind gift idea that’s truly memorable. Please note: to ensure the freshest quality, we process and ship orders approximately 30 days prior (and no later than 10 days prior) to your event. Call us at (630) 262-1777 if rush processing is needed for your order. Our 24-hour integrity guarantee ensures your favors arrive in pristine condition. If you notice any damage issues upon receipt, simply notify us within 24-hours of delivery and we will work with you to provide replacement(s).